Give Your Home A Modern Dose | Fashion. Style. Beauty. | Life is short. Live well. Elegance in your surroundings is important. 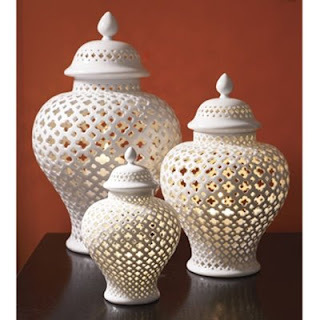 These Pierced Porcelain Lanterns ($79.95) are a gorgeous way to add seductive lighting to a room. Can’t replace the couch? 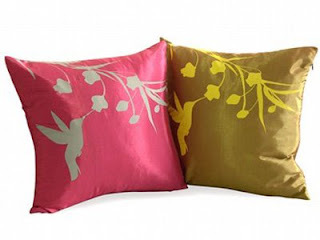 The Hummingbird Pillow ($49) is a cute and comfortable solution to stop you from staring at it with such disdain. These Shadow Table Shelves ($295) are the perfect answer for a narrow hallway. If you live in a big city apartment with a narrow entry way and want a place to put your keys, problem solved! Decorative mirrors combine art and function in a home. 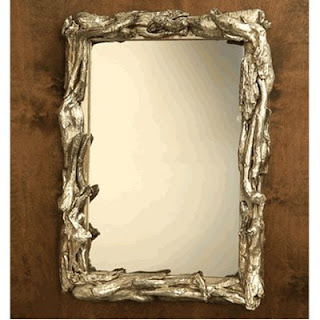 Personally, I’m obsessed with the Silver Wood Mirror ($449). Sometimes in a tight economy, it’s hard to justify even picking a shower squeegee that’s a little too fancy, nevermind going out and spending money. What better time to consider beautifying your home? With free shipping and a wide selection, it might be just the right time to consider giving your home décor a little upgrade. Head to moderndose.com and inject a little style into your nest.